To ensure ultimate durability, the precision-engineered stepless 360° metal hinge of the VivoBook Flip 14 was subjected to 20,000-cycle open-and-close tests. So you can rest assured that your VivoBook Flip 14 will be ready for any mode, anytime - for years to come! The stylish VivoBook Flip 14 has an eye-catching aluminium chassis. ASUS VivoBook Flip 14 is thinner and lighter than ever - with an amazingly thin 17.6mm profile, it weighs just 1.5kg*. 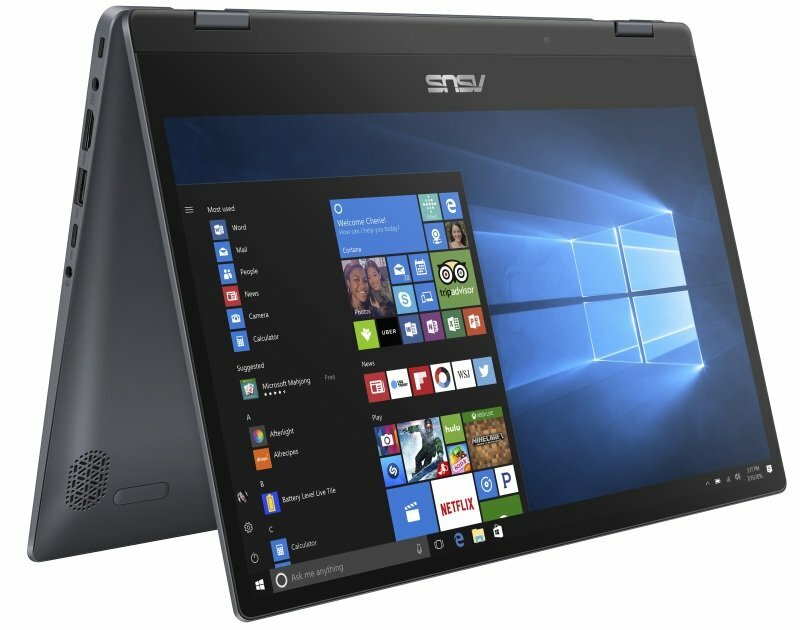 It's one of the most portable 14-inch convertible laptops around, keeping you productive and entertained - anywhere.